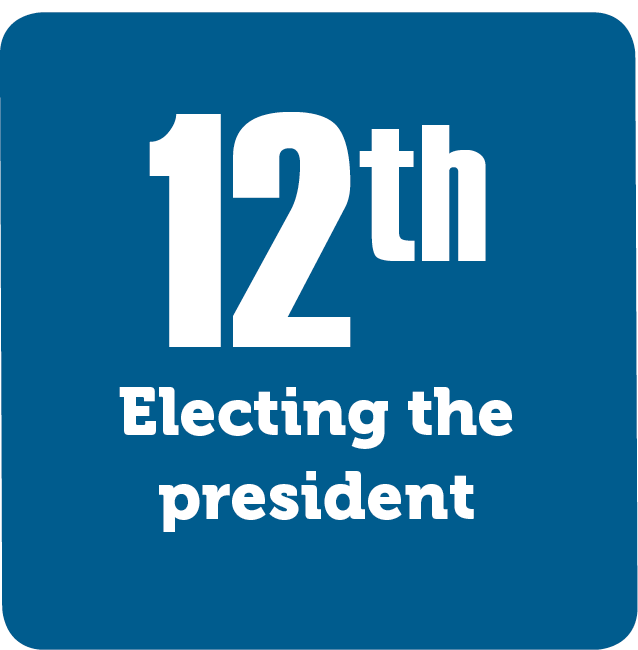 The Twelfth Amendment changed the way Americans elect the president and vice president. In the 1796 election, Federalist John Adams won the most electoral votes. His political rival, Democratic-Republican Thomas Jefferson, was the runner-up. In accordance with Article II, the political rivals became president and vice president. In the next election, Thomas Jefferson tied with his running-mate, Aaron Burr. This election was ultimately decided in the House of Representatives. Taken together, these two elections prompted the Twelfth Amendment. Now electors vote specifically for the president and the vice president.